We built our platform to integrate seamlessly with your existing IT ecosystem, including current tools and processes. That’s how we can automate things you can’t imagine are possible, including service-level automations that scream past limitations of task-based tools. Forget about rip and replace... Resolve maximizes ROI on your current tools, while taking automation to new levels that will blow your mind. Check out some of our favorite integrations or scroll for the laundry list. 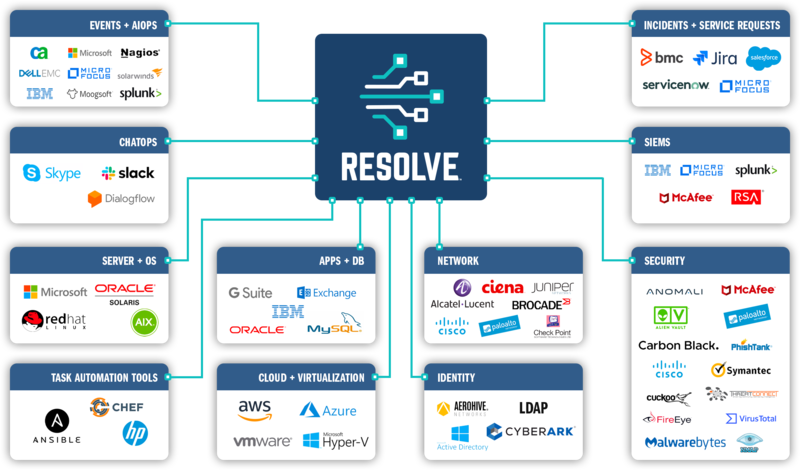 In addition to out-of-the-box integrations for your favorite systems, Resolve can easily integrate with custom solutions or other tools with our open framework. 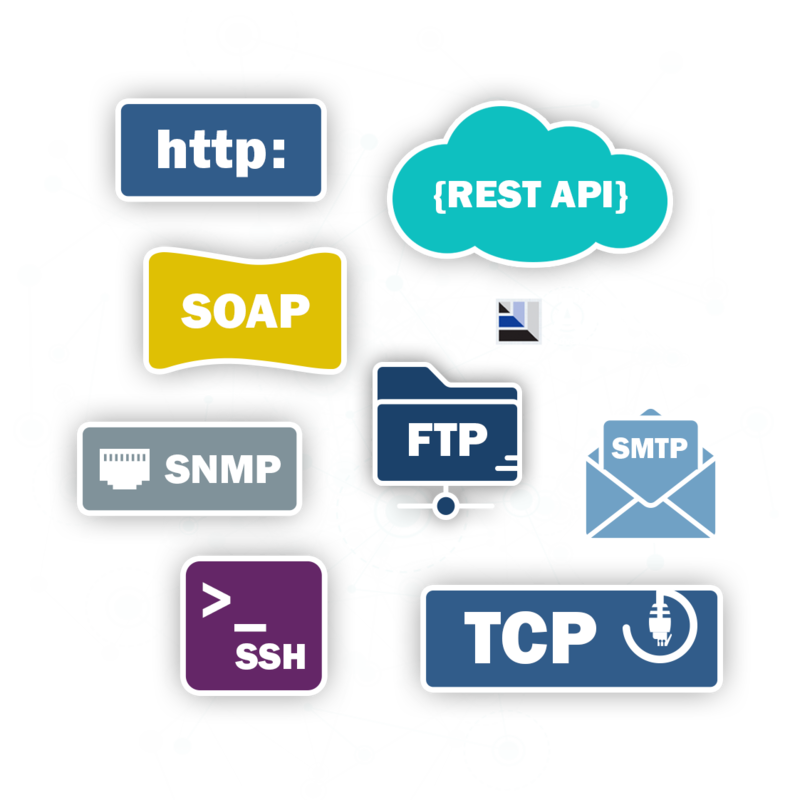 We can connect to almost anything via REST API, SNMP, SMTP, SOAP, SSH, TCP, or other common protocols in the alphabet soup. 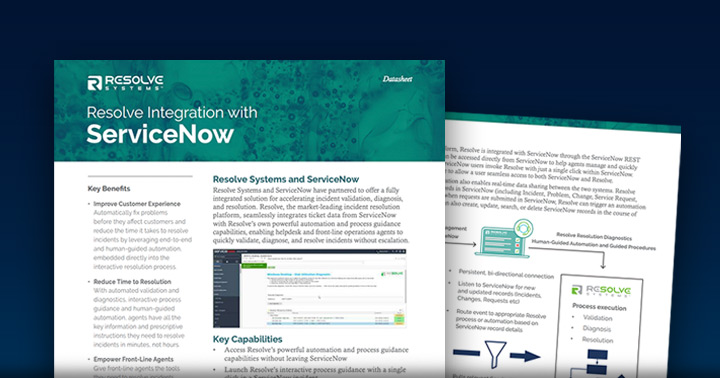 Take your IT operations to the next level by combining Resolve's automation power with ServiceNow ITSM. 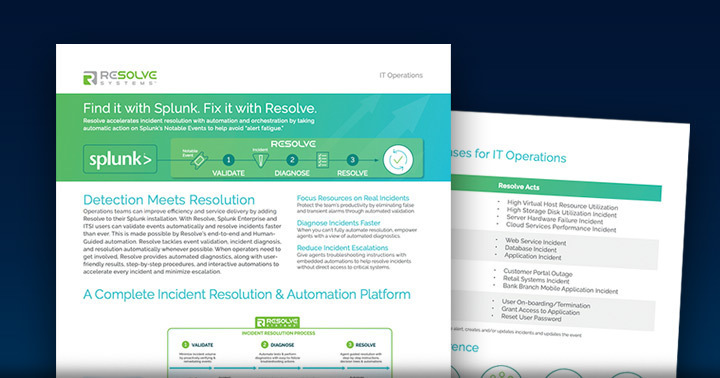 Avoid alert fatigue and accelerate incident resolution by combining Resolve with Splunk. 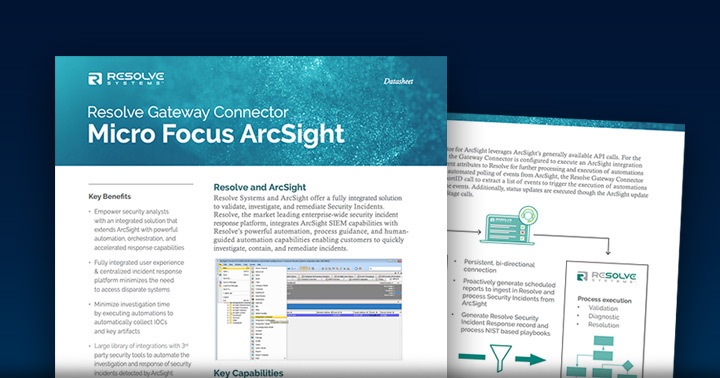 Detect with ArcSight. Automate Response with Resolve. Quickly validate, investigate, and remediate security incidents via end-to-end automated workflows.